Feeling the Holiday Spirit… Depression | Get Lifted Girl! Are the holidays getting you down? I personally relate to this as well. 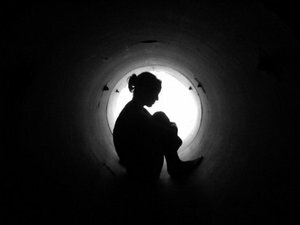 I have struggled with periodic bouts of depression and discouragement for most of my life. Even in the face of outward success and tremendous blessing, I often feel forgotten, discounted, and not good enough. I’ve always put too much pressure on myself to do my best in every endeavor. Yet this pursuit of excellence makes it difficult for me to accept my mistakes and not judge myself for missing the mark. I’m sure this is part of the reason I felt called to become a social worker. As a therapist, I can help other people recognize their redeeming qualities and learn to appreciate themselves for who they are, which, in turn, helps me do the same. I am like Robin Williams in this way. Giving other people what I often need the most, is therapy. Thankfully, I believe in God and have learned that there is healing in trusting in His power, plan and purpose for my life. My faith is what keeps me alive and reminds me that I must keep trying and never give up hope. I’m not sure what type of spiritual practice, if any, Robin Williams had, but I imagine he had lost sight of any sense of hope and protection in his final hours. Why am I talking about all this now? Well, it’s the holiday season and it has become clear to me that despite the expectation that we all be merry, many people are struggling more than ever. This is apparent in the mental health professions, but it’s much more subtle in other aspects of society. Your typical Wal-Mart television advertisement, the bustling energy of the malls, all the lights and colorful decorations, and warm greetings at church all send the message that this is the time to be with your family, give your best, and revel in the spirit of love and connection. But where does that leave the people who’ve recently lost loved ones? What about the mother who’s lost a child or the father who’s been laid off and can’t afford presents for his children? What about the person who’s sick or has a child in trouble? What about the person serving life in prison who will never spend another holiday with family? What about the person who’s lost their home or who is struggling with a mental health disorder? What about the person who’s battled a substance addiction and is finally on the right track but has lost their family support? What about the single mother who has to work through Christmas or the person who is wrestling with their sexual identity and doesn’t feel welcomed at church? There are many people whose lives defy the expectations of the season, yet they don’t feel free to express their pain or ask for help for fear it will damper everyone else’s mood. No one wants to feel like they’re the kill joy. Depressed individuals often feel as if they are the only ones not feeling the holiday spirit and it becomes more of a burden to reach out for help because they assume the guilt of ruining everyone else’s good time. The result is a person who hides and pretends. They may attend the Christmas party and laugh all night, only to go home and cry themselves to sleep. They may gut it out all day at work, spreading cheer to all their co-workers, and then go home and drink themselves into a stupor. If they’re anything like Robin Williams, they may decide to stop wearing the mask all together and choose to go to their grave, the only place they believe they can finally stop pretending. I’ll tell you a story. When I was about 23 or 24, before I was married and had my kids, I was a single young woman living in Inglewood, CA. I had my own apartment and was working in the entertainment industry. I think I was a Writers’ Assistant for the Jamie Foxx Show at that time. It wasn’t really a glamorous job, but because it was within a glamorous industry, I was seen as being highly successful. People would sweat me because I worked in Hollywood. This was probably around the time I was also trying my hand at stand-up comedy and was being heralded for making all of these impressive moves. I was still a young tenderoni then also, so I had a small selection of men vying for my affection. By the world’s standards, I had it going on but what no one knew was that I was also deeply depressed. I felt unsatisfied and unfulfilled and felt that most of the relationships I was making were superficial and that very few people truly cared about me as a person. I remember a Christmas that I had around that time. I had gotten sick with the flu. I couldn’t afford to fly to Mississippi to visit my parents who had moved back to the South, and I was alone. All of my friends had families of their own to be with and I didn’t feel close enough to anyone to ask for refuge. It was Christmas Eve and I remember being sick as a dog and having to drag myself to the pharmacy to pick up some medicine. I then went back to my apartment and turned off all the lights because on top of being sick and depressed, I was embarrassed and didn’t want anyone to know that I was by myself on Christmas Eve. It was a long and painful night in more ways that one. I was in total misery but didn’t feel able to reach out to anyone for fear of losing their admiration once they knew my life was actually lonely, isolated, and anything but glamorous. I felt an obligation to hide so that no one would have to be bothered with my pain. This is the same thing I believe many people do around this time of year. We often compound feelings of depression with guilt and judgment of ourselves for how we feel. We succumb to the pressure of needing to feel and show the “holiday spirit” while denying ourselves the support we need most. Wearing the mask will never be a healthy way to manage depression and it denies loved ones the opportunity to assist us in our darkest moments. I’m sure Robin Williams’ family wishes he would’ve told them what he needed most the night he died. Despite all his success and comedic talent, I know they would rather he had tried harder to make himself smile as opposed to amusing everyone else. We can all learn from his life and death. Robin Williams taught us the importance of ‘reaching out’ rather than ‘hiding out’ behind a fake smile and false sense of holiday cheer. Here are some strategies for coping with the holiday blues in a way that honors your genuine emotional experience without breaking anyone else’s Christmas spirit. Submitting to your Higher Power and giving all your cares and concerns to Him is the most appropriate release for any negative emotions you’re dealing with this holiday season. It also doesn’t make other people responsible for shouldering pain they are not able to relieve. Spending time in prayer, meditation, or in your place of worship is liberating and healing. Our houses of worship should be safe places where we are free to show our vulnerabilities and seek support from people who care. Attending holiday services or participating in special meals and events can boost your sense of connectedness and remind you of all the reasons you have to be grateful. Personally, I follow Jesus Christ, and His unconditional love and support has made all the difference in my life. If you are lucky enough to have a close friend who knows you and understands your struggles, don’t be afraid to talk through some of your most difficult emotions with him or her. A long, heart-felt conversation with a true friend is highly therapeutic. Friends can remind you of who you are and all you have accomplished. It’s good to hear that you matter and a trusted friend, even if they’re far away, is always good for that reassurance. I am thankful for the confidants I have in my life who I know I can always reach out to when things get rough. Maybe getting away from it all and establishing a new tradition in a new setting is what you need to shake the holiday blues. If you don’t have a large family or live in a studio apartment with no chimney in sight, perhaps an impromptu road trip to the beach or a day at the spa is in order. Maybe treating yourself to a nice meal in a restaurant or a Christmas Day movie binge would be enjoyable. If you can afford it, I imagine that Christmas Day alone in Jamaica is a lot less depressing than here in the states. A little research and planning ahead and you may be able to discover an entirely new and exciting way to spend your holidays. It’s okay to buck the system every once in awhile and do what makes you happy rather than what’s expected. I’ve found that it’s very difficult to obsess over your own negative feelings when serving those who are less fortunate than you. We all tend to think our problems trump everyone else’s, but the reality is, there are plenty of people who are praying for what you have right now. Spending time feeding the homeless or making holiday gift baskets for the poor not only gives you something positive to do with your time, but can put your current situation into proper perspective. Personally, when I see people who have far less than me overcome with joy over the smallest gift someone offers them, it’s a swift reminder that every single thing is a gift and perhaps I should spend more time appreciating what I have instead of lamenting over what I don’t. If the holiday season always presents a significant challenge for you emotionally, then consider working with a professional who can help you process your feelings and strategize for how you will cope in a positive manner. Christmas is difficult for many people and there is never shame in reaching out to someone who is trained to offer you the support and guidance you may not be comfortable requesting of anyone else. I am praying for anyone who may read this article and relate to its content. Please know that you are not alone and that it’s time to come out of the shadows and deal with your emotions honestly and productively this holiday season. Life is not about pretending to be okay, but being okay enough to stop pretending. Until we chat again, Merry Christmas to all and to all a good life! An absolute phenomenal read! I particular love the section that talked about “going against tradition”. I’ve learned as love ones come and go, you may/will have to modify how you celebrate the holidays. Change is a part of life. And with that change scores a new era in one’s life and those around them; an opportunity to begin new traditions. Thank you so much for the read! I agree, we spend so much energy on how things are supposed to be that we miss the opportunity to do much with what actually is. Love you!